Call Of Duty: Black Ops Smashes 5-Day Sales Record, Scores $650 Million ! Activision’s FPS Call of Duty: Black Ops has made a record $650 million US Dollars in sales in just 5 days since its launch, setting a new entertainment industry record. Even we at Redmond Pie got hold of the Xbox 360 version of the game due to its sheer awesomeness. Call of Duty has become the first entertainment property in history to set five-day launch records for two consecutive years across all forms of entertainment. The title’s success illustrates the mass appeal of interactive entertainment as millions of consumers are choosing to play Call of Duty: Black Ops at unprecedented levels rather than engage in other forms of media. This for sure is a huge win for Activision! The holiday season is right around the corner, which will only help Activision sell more copies of Black Ops. COD: Black Ops features better graphics, better weapons, more annihilation, better gameplay and pretty much everything over the previous Call of Duty titles. In short, Call of Duty: Black Ops for me is the best Call of Duty to date. 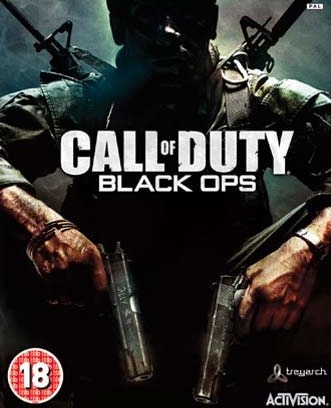 SANTA MONICA, Calif., Nov. 18, 2010 /PRNewswire/ — Activision Publishing, Inc. (Nasdaq: ATVI) announced today that Treyarch’s Call of Duty®: Black Ops has shattered theatrical box office, book and video game sales records for five-day worldwide sell through in dollars. The game established an all-new five-day worldwide sell-through record of more than $650 million, exceeding Activision’s previous five-day worldwide record of $550 million set by last year’s Call of Duty: Modern Warfare® 2, according to internal Activision estimates. In addition to beating all previous first-and five-day box office, book and video game sell-through records, Call of Duty: Black Ops set two new records on Xbox® LIVE™. •More than 5.9 million multiplayer hours were logged playing Call of Duty: Black Ops by end of launch day, November 9. •More than 2.6 million unique gamers played Call of Duty: Black Ops in one day on November 9. Activision is excited about the performance of Call of Duty: Black Ops, but given that it is still very early in the holiday shopping season, the company remains cautiously optimistic.